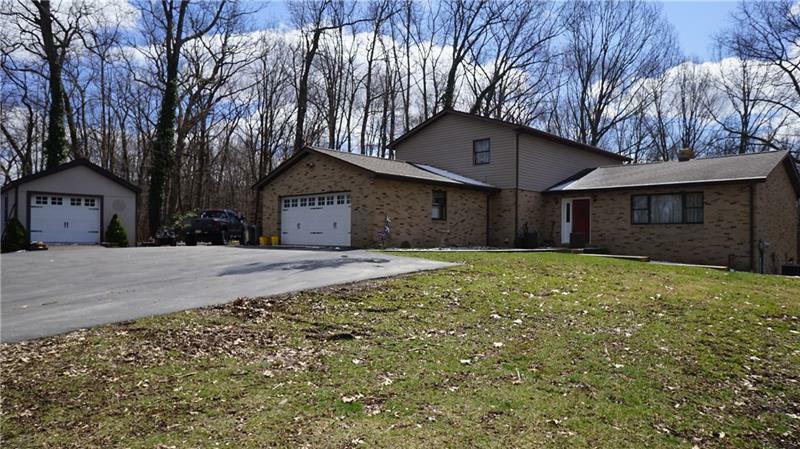 Nestled on five wooded acres, in much desired South Butler School district, this inviting four bedroom features a spacious family room, formal living and dining room w/ chair rail and crown molding, large kitchen w/island and abundant cabinet space, first floor laundry and a master suite on main level. Upstairs is equally impressive with yet another master suite (both masters have walk in closets and full baths) and two additional bedrooms. Lower level houses a second full kitchen for canning or entertaining, as well as a game room and half bath. Outside, enjoy paved driveway, two stall attached garage, new sidewalk and steps and large back deck just off family room overlooks private backyard.